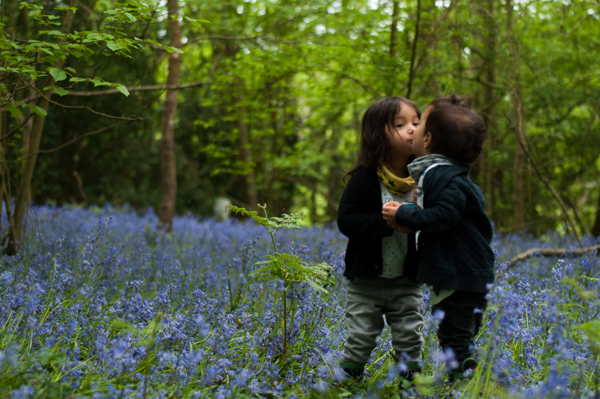 Last weekend we finally made it along to a bluebell wood with the twins for me to try to take a few photos of them having fun wondering amongst the flowers and trees. 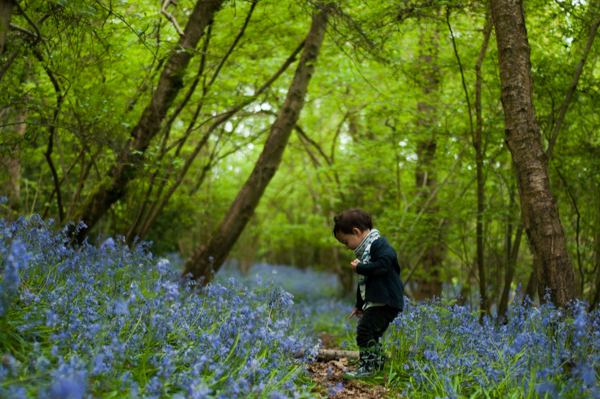 We were unlucky with the light as it was a very dull day so the photos are a bit flat but we had a lovely morning and the woods looked stunning with the carpet of blue going on for as far as we could see! The photos definitely do not do it justice! 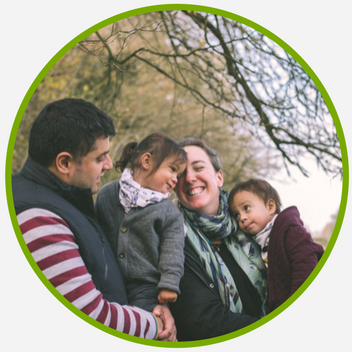 Thank you to Zoe for her directions to this wood as well as a few foraging tips which I've included in with the tips below. 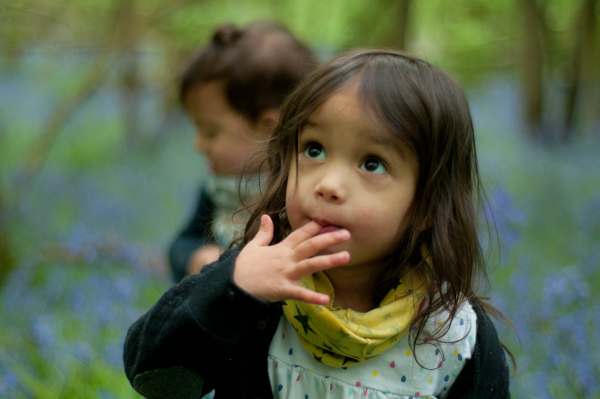 We really enjoyed foraging and the kids loved it too, we taught them to pick from the stem and to be careful not to trample anything. 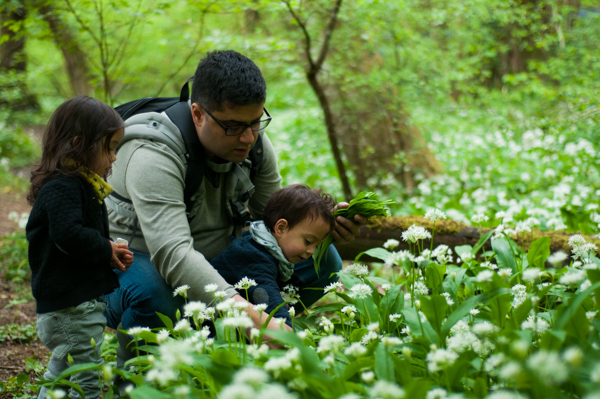 Wild garlic is an easy one to start with (I'm a bit nervous about foraging for anything else although hope to learn more when The Warren start foraging courses!) as it's easy to find due to the smell and you can confirm it by crushing the leaves in your hand to get an even more obvious garlicky smell. The flowers are also edible and make salads look really pretty. My own (and Zoe's) tips are to pick the full leaf from the stem, leaving the bulb undisturbed. 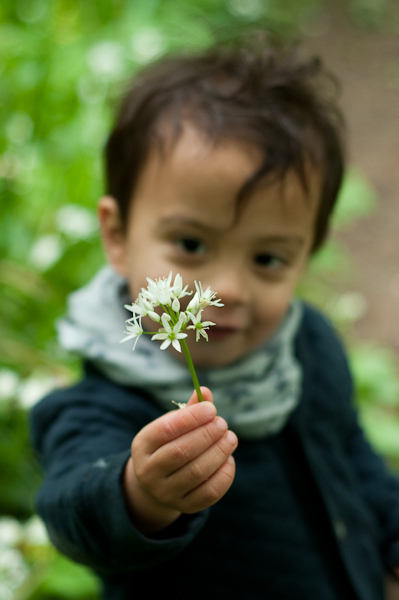 Pick bright, young leaves (look for flowers still in bud) and try to avoid areas which may have been trampled. They like damp areas so are often found near streams and rivers in ancient woodland. 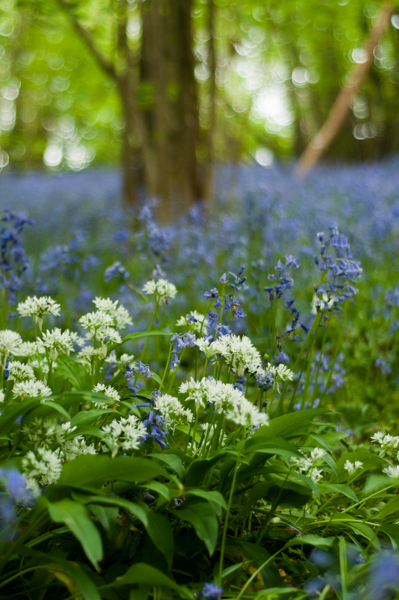 And remember never to pick bluebells, it's illegal! 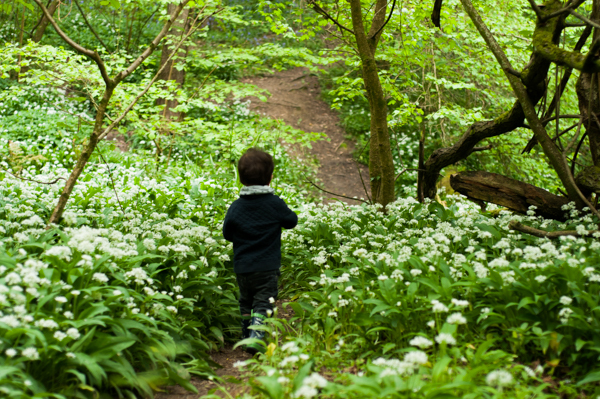 Here are links to some top tips from the Woodland Trust about foraging sustainably and some more information about Ramsons (wild garlic). 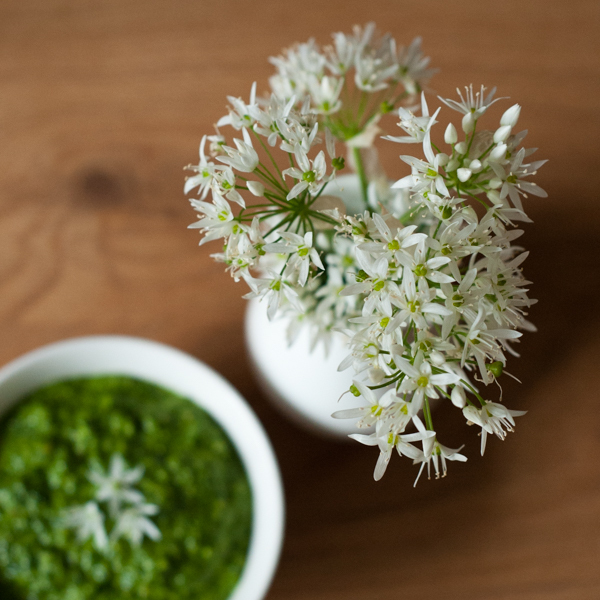 I'll be posting my Wild Garlic Pesto recipe tomorrow if you fancy trying it yourself!